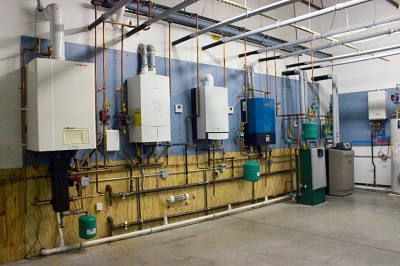 Our trade school has a variety of gas courses for many educational needs. *This course is NOT a licensing course. 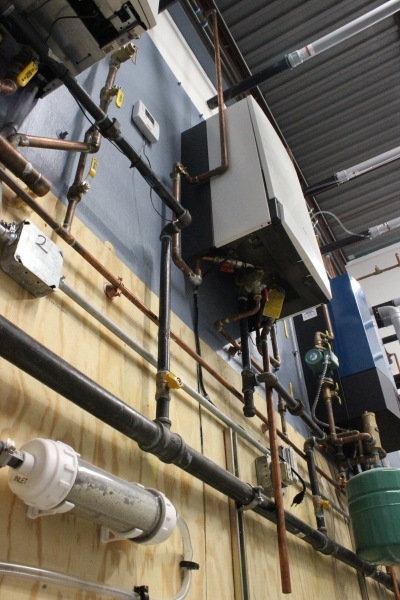 This course is an in depth training course for the gas fired heating systems. This unique course is designed to reach a broad range of students. Whether you are currently licensed in the gas field, or interested in beginning a career in the gas industry for the first time, this course will provide students with a more in-depth, broader understanding of gas fired heating equipment and service techniques. 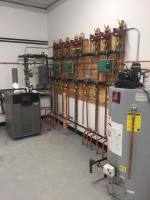 Eighty-five percent of the course is dedicated to “hands-on” instruction in our “state of the art” fully functional gas-heating lab. Students will learn how to clean, maintain, and troubleshoot new and old systems. They will also cover wiring and control circuits associated with these systems, how to install equipment and will receive manufacturing information. Slide shows and videos are provided to demonstrate the safety procedures and possible outcome if not done properly. Students will have to provide their own basic tools, but we have tool assistance if needed. This course does not provide any educational hours toward the licensing process, it will assist all students in becoming more knowledgeable, valued technicians to current employers, and provide an excellent addition to current resumes. Our course covers both Natural and LP gas piping regulations and meets the NH State requirements for the 60 hours of educational time needed to achieve the first level of gas licensing. This course, in conjunction with 1000 hours of field training, will allow candidates eligibility to obtain a GPI (Gas Piping Installer) License. Trainees will still need to fulfill the “field” training out on the job, but after completing this course they will be eligible to take the state exam immediately. Meeting the 40 hours of educational requirements for the second level of Gas licensing in the NH Gas License process, this course covers the installation regulations for Natural and LP equipment and students will be prepped for the NH Gas Equipment Installer exam. This course, in conjunction with the Gas Piping Installers training and additional 1000 hours of field training, will allow candidates to be eligible to obtain a Gas Equipment Installers License. Trainees will still need to fulfill the “field” training out on the job, but after completing this course they will be eligible to take the state exam immediately. Meeting the 40 hours of educational requirements for the highest level of Gas licensing in the NH Gas License process, this course covers the service regulations for Natural and LP equipment and students will be prepped for the NH Gas Service Technician exam. This course, in conjunction with the Gas Piping Installers training, Gas Equipment Installers training and additional 2000 hours of field training, will allow candidates to be eligible to obtain a Gas Service Technician License. Trainees will still need to fulfill the “field” training out on the job, but after completing this course they will be eligible to take the state exam immediately. "How do I become a New Hampshire licensed gas fitter?" New technicians must first become Trainees. A trainee is like an apprentice; the state requires that new technicians must have a trainee card to be able to work with the gas-fired systems. This card also starts the documentation of the field hours needed for the licensing process. "How do I get a Trainee's card?" A Trainee needs supervision of a licensed professional while working on the systems. When a new technician starts working for a company, the company should have some one to take on the responsibilities of becoming the trainee's supervisor. To do so, both will need to fill out the states application and submit it to the Department of safety, division of Fire Safety. All the application requirements and fees must be included, as described on the first page of the application packet. 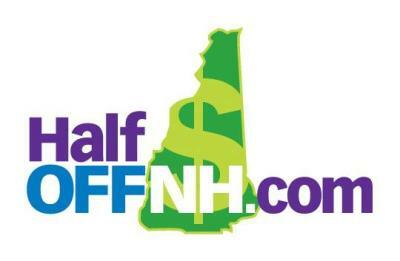 "I already have a gas license from out of state, how do I get a New Hampshire one? " The NH gas license expires in two years and on the last day of the birthday month of the license holder. The technician will need to have a total of six hours of continuing education, 2 three hour code classes. The technician will then turn in a copy of the certificates, the renewal form and renewal fee to the state. NOTE: The requirements changed as of July 1st 2015, if any technicians did all 5 hours of related prior to this date, the related hours can be used. Any technician that did not fulfill the 5 hours before July 1st 2015 will need to do the two 3 hour code sessions (representing one per year). Our gas renewal courses are set up so the technician can receive all six hours in one day or choose to do only one of the three hour courses. You can enroll for these classes on our Course list page, by selecting the Enroll today on that class description. "Where can I take the New Hampshire state exam?" Right here in Manchester at our facility, we utilize a company that enrolls people for the exams on line and then they come to our location to take it. The testers can choose what day they wish to take the exam, as long as it is within our office hours. The exam is a timed, 100 question, open book, computerized exam. Testers have three hours to complete the exam; can only use the NFPA 54 2009 codebook. No Phones or other materials are allowed in the testing room. Testing fees and other requirements are posted on the testing website, click the link below to enroll! Please give one to two weeks notice of your testing date. Anything submitted within 72 hours of selected testing date is at risk of being denied. ​Students in the Gas License Code Combo will need to test after completion of each course to move on into the next. Testing fees are not included in the tuition. Each year the state of MA issues a new code session, these sessions are numbered for easy recognition. Every other year ALL Gasfitters (and Plumbers) are required to renew their licensing by May 1st. For gasfitters, each session is 3 hours long; totaling out to 6 hours per renewal. The next renewal date is May 1st 2020. The sessions required for this renewal is Session 11 and Session 12. The first course will start on this date, and the next course will start on the following starting date. The Student will complete one course and then complete the next, earning a separate certificate for each course! These course will run consecutively, with little to no break in between courses. Gas License and Service Program - Total Tuition $5200, Down Payment: $700 Weekly Payment : $150 for 30 weeks out of 33 weeks. Gas License Code Combo - Total Tuiiton $3200, Down Payment: $400 Weekly Payment: $150 for 18 weeks out of 18 weeks. Come to our location to take your Gas License Exam provided by the NH Gasfitting Continuing Education Online. The computerized exam costs $100, payment can be made the day of the exam, and testers can use their NFPA 54 code book. If you do not have a book, they can be purchased in the school’s office. 1. Click on the NHgasfitter.com Logo below. 2. Click on “Gasfitting-exams” on the left hand side. 3. Fill out the form and choose what date you wish to take the exam. Payments are able to be made at check in, over the phone, or mailed in. This course is designed to provide Students with the necessary knowledge through highly skilled instructors to encourage the best possible opportunity for success as they prepare to sit for the Massachusetts State Gas Fitters license Examinations.